Unfortunately, there is no catch-all list of legitimate reasons for rejecting an application, but there is a general rule: landlords can reject tenants who are not qualified. A landlord does not have to provide a reason for rejecting every applicant. They do have to notify an applicant, however, if the rejection is based in any way on information obtained from consumer information, like credit reports. In that case, the landlord is required to provide the applicant with an adverse action notice that alerts the individual that there is negative information on record. 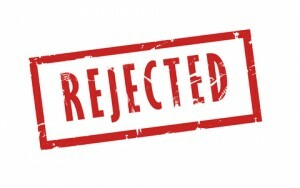 For more information about adverse action notices, please refer to our blog post When Am I Required to Send an Applicant a Rejection Letter? Many landlords find that the best policy is saying nothing to applicants who are rejected based on information other than that found in tenant screening reports. That way, the tenant is less likely to attempt to counter the decision. There is a minor risk, though, that this silence will anger an applicant or raise suspicion about the landlord’s motives. Imagination takes over, and allegations can follow. Should you decide to offer a reason for the rejection, be honest, and make sure it is clearly related to the tenant’s qualifications, namely the ability to afford the rent, to take care of the rental property, and the applicant is someone who won’t cause problems like disturbances or excessive complaints. Within that scope, there are many cogent reasons for rejecting an applicant, including insufficient income, pets, too may cars, or the refusal to refrain from smoking. Other common reasons include belligerent or overly-demanding attitude, too many occupants, or the unwillingness to agree to your preferred term for the lease. When rejecting an applicant, landlords always run the risk of an accusation of discrimination. The only way to avoid such a charge is to avoid rejecting applicants for illegal reasons. While some forms of discrimination are obvious, more subtle forms are harder to identify. Two common practices that give rise to discrimination claims are looking for tenants who are just like you, rejecting those who are not, and visualizing the “ideal” tenant for the property — like young, unmarried professionals — and rejecting all other qualified applicants. For instance, one landlord attempted to fill a vacancy for her single family property by selecting only strong-looking men, because she did not want to deal with snow removal. When an otherwise qualified woman applied, the landlord presumed the applicant would not be able to shovel snow, and the woman was rejected. The landlord was charged for this discriminatory policy. The same result would have occurred if the landlord rejected a tenant with a disability who was unable to shovel snow. By focusing on her ideal tenant, she created an unnecessary policy that many otherwise qualified applicants would not be able to meet. One way to reduce the number of rejections you have to field is to prequalify applicants before you offer a tour of the property. Start with a detailed rental ad that discourages those who can’t qualify. Make sure applicants know they will be screened. When an unqualified applicant is eliminated before they’ve invested much time into the search, the person will be less likely to anguish over the rejection. Creating and following a tenant screening policy that focuses on each applicant’s qualifications, treating everyone the same, is the best way to avoid the risk of rejecting applicants for the wrong reasons. It also makes good business sense because it speeds up the screening process, allowing a landlord to fill vacancies quickly and efficiently. Finally, sugar-coating the rejection by making up reasons often makes the situation worse. For instance, a statement that the property is rented while the vacancy is still being advertised is very easy to expose, leaving the applicant to ponder whether there was an ulterior motive. It would have been better to have said nothing. Typically the reason is that there was a more qualified applicant who was selected. It doesn’t mean they weren’t considered and that in the absence of a more qualified applicant that you wouldn’t have rented to them. Is addressing it in that manner acceptable? I’ve never rented to the first person that submitted an application. I’ve continued to show a property to everyone who I scheduled and appointment with over a week or weekend and then offered it to the most qualified person provided they met the minimum qualifications (income, etc.). These are great tips for landlords to make sure they are not being discriminatory in the screening process. Coming from the tenant standpoint, I have lived in places where I think the landlord could have been just a little bit more selective about some of the tenants.